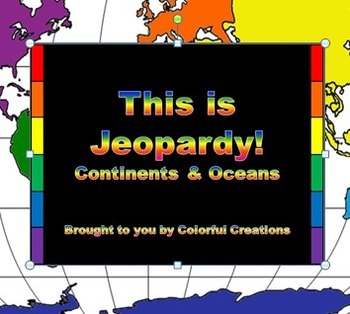 Review the facts about the continents and oceans of the world in this fun and easy to play Jeopardy game. 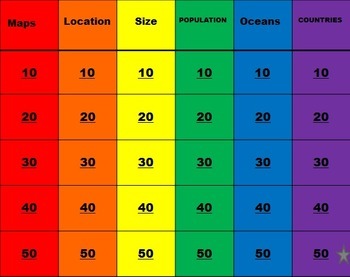 This games includes 30 questions based on the 7 continents and 5 oceans focusing on size, location, populations, counties and maps. This game is a great way to review the information presented in my Continents and Oceans of the World Prezi or PowerPoint found at my store!